Douglas L. Beck, 56, of Fremont, OH passed away on January 26, 2018 at Toledo Hospital surrounded by his family. He was born on December 23, 1961 in Toledo, OH to William and Sandra (Foley) Beck. He was a 1980 graduate of Fremont Ross High School and attended The Ohio State University. Doug married Michele (Coe) Beck on April 8, 1989 and she survives. He was the president of his family’s business, Beck Suppliers Inc. Doug was a member and past president of Fremont Rotary and OPMCA. He was also a member of the Port Clinton and Fremont Yacht Clubs, Ducks Unlimited, Rockwell Springs Trout Club, Fremont Elks and the Fremont Country Club. He also served as a board member for SANDCO Industries. Doug was a proud Eagle Scout and supported scouting. He was a philanthropist and enjoyed giving back to his community. Doug also loved fishing, hunting, boating and snowboarding. He was a loving husband, father, brother and mentor. Doug is survived by his wife of twenty-eight years, Michele Beck, Fremont; children, Olivia (Ryan) Beck-Lashaway, Rocky River, OH, Madeline Beck, Cleveland, OH, Chloe Beck, Seattle, WA and Maxwell Beck, Fremont, OH; brothers, Brian (Robin) Beck, Port Clinton, OH and Dean Beck, Fremont, OH; step-mother, Meridith Beck, Port Clinton, OH. Memorial Service will take place Saturday, February 3rd at 3pm at Grace Lutheran Church, 705 W State St., Fremont, OH. A celebration reception will follow at The Fremont Elks Lodge, 436 Croghan St., Fremont, OH. PAMS/Morona Cocha Mission: 41360 Fox Run Rd. #519 Novi, MI 48377 or Grace Lutheran Church. Our thoughts and prayers are with each of you during this difficult time. May those cherished memories warm your hearts. May you find strength & comfort in the love of family and friends. Extending hugs & caring to you all. God bless. My deepest condolences to all the Beck family. From one classmate to another, until we meet again sweet soul. Rest…. Lori (Price) Brown, Class of 80. Fremont has lost another great person. Our loss is Gods Gift. So very sorry to learn of Doug’s passing. Keeping the entire Beck family in my thoughts and prayers. Doug and I got to know each other over the last several years with his association in Rotary. He was a wonderful president to the Fremont club and gave so much back to his community. On behalf of Rotary international district 6600 I want to extend my sincere condolences to you and your lovely family. Doug was a member of the Rotary family and if there is anything that we can do for you, please do not hesitate to contact me. Doug aka Dougan – Where do I start ? Boyyyyyyyyyy did we have some memories from high school and even into our adult years lol – I’ll NEVER forget your laugh and smile, but most importantly our friendship ….. my heart is heavy but I know that you are now at peace and please save a spot for me as when it’s time we will add more memories – RIP – miss and love you ……. Beck Family. You are in my thoughts. If you need anything, please let me know. Our deepest sympathy to the Beck Family…..Sending prayers. So sorry for your loss. Doug was one of the friendliest neighbor we ever had, his infectious smile and happy life was contagious. Only the fondest memories are held close in our hearts as they break for his family. Strength is his legacy for you to grasp and hold tight for time is on your side and the pain will fade away BUT your loving memories of Him, you will cherish until you see him in eternal glory with our Loving Father. It is with great sadness I share my heartfelt grief in saying goodbye to a wonderful dock mate at PCYC. May you all know my thoughts & prayers are with you. I will miss Doug as I know many will. He will forever live within our memories. To the Beck family, I am so sorry for your loss. Sending you prayers. We are truly sorry for your loss. You are in our Prayers. Doug, miss and love you! Thanks for the many days spent together fishing, hunting, and just having a blast while growing up. Sincerest condolences to your family. It is difficult to find words to express the loss we all feel with such a wonderful person as Doug. His memory will live on and he will always be remembered as a person of great character and vision. While he is in our prayers may God bless the family through this difficult time. Prayers to the Beck Family. Got to know Doug thru business and what a great person and friend. Michele and families, my thoughts, prayers and deepest condolences are with you all; so sorry for your loss. May happy and loving memories comfort you through these difficult days! It is with great sadness to learn of Doug’s passing. Friendship Food Stores has been a long-time member of NACS and we appreciate Doug’s and the entire family’s support throughout the years. Our prayers are with you, your family, and all your employees. Doug will be sorely missed. Doug fought a tough battle, but is now at peace. Our thoughts & prayers go out to all of you. He will be missed by all who knew him in the Petroleum Industry. To the family of Doug, my deepest sympathy goes out to all of you at your time of loss. I will continue to keep you all in my thoughts and prayers. May God be with you all. Doug was a neighbor, Rotarian and just an all around nice guy who will be missed by many of his friends and co workers. Condolences to his family as he left us too soon. Keeping you all in my thoughts and prayers! We are fortunate to have such wonderful lasting memories of Doug! My heart and love is with you all during this difficult time. I send my sincere condolences to you and your family. My prayers to you in these difficult days. We lost a great man and a leader. We are deeply saddened by Doug’s passing and offer our sincere condolences. We always enjoyed seeing Doug and Michelle at various industry events throughout the years. Our conversations were insightful as he was always willing to share his knowledge and ideas. He will be truly missed. May you find peace and comfort in the memories you’ve shared. – Sincerely, Terry, Betty, Zach, and Nate Santmyer on behalf of Santmyer Oil Company. We are deeply saddened by the news of your loss. We pray that God will grant BECK family the strength. God rest his soul. I’m very sorry to hear of Doug’s passing. I knew Doug through Rotary and PCYC and I’ll always remember our happenstance meeting at our daughters’ (Maddie & Courtney) graduation weekend at OU. Prayers sent your way. Our deepest sympathy to Dougs family, and to his extended family, friends and coworkers. His positive and loving spirit will be missed. Prayers that your sorrow passes quickly and memories last forever. My association with the Becks is just 4 yrs but my attachment and care for them is much greater. 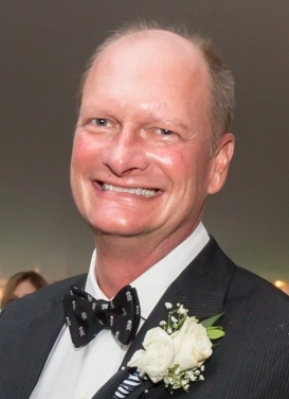 Doug had such a positive life energy and way of embracing others, watching out for his brothers, And of course his own family and the families at Beck Supliers. I am honored to have known him. So sorry to have lost Doug, Only got to spend a short time with him. But it was great to get to know him. Our thoughts and prayers go out to the family. Another great man has left this earth and is welcomed into Heaven. Please know you have my prayers as you grieve the loss of Doug. May God hold you in the palm of his hand. I was so sorry to hear about Doug’s passing! Please know that I am thinking of you all.